At Granger-Carter our Philosophy is "Quality Is The Difference!" Our service to you starts when you first contact Granger-Carter Construction & Development. From our front office, through all planning and design stages, to the last detail of each project, our entire staff works together for your complete satisfaction. 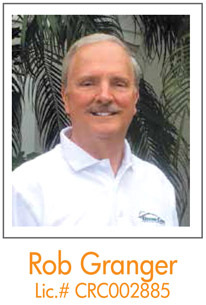 Rob Granger has been a proud resident of Eustis, Florida since 1969. Following in his father's footsteps and eager to begin his professional career, he was the state's youngest state certified contractor obtaining his license in 1971. In 1972, Rob became the youngest licensed real estate broker in the area. Rob Granger has been the past president of the Lake County Homebuilders Association and a former long time member of their board of directors. Mike Carter has lived in Eustis, Florida since 1956. Coming from a family with backgrounds in the construction industry, Mike received his Bachelor's degree in Building Construction from the University of Florida. 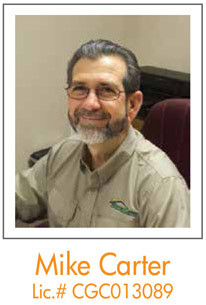 In 1978, Mike became a state certified general contractor. Mike has been a long time member of the board of directors of the Lake County Homebuilders Association and has served four terms as President of Home Builders Association of Lake-Sumter. More important than any of our titles, degrees or certifications is our desire to make people's visions become reality. We have worked together since 1985 and share a deep commitment to pleasing our clients by going beyond what is necessary and providing the extraordinary. 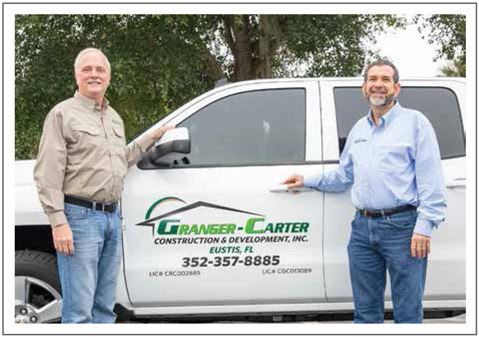 Granger-Carter Construction & Development is the choice of organizations and individuals who value doing business locally with an experienced, reliable builder. We have a long history of quality, integrity and accountability, and that translates to prompt, attentive service to a client's needs before, during and after the construction project itself.